The brief was simple get from A to B using the least amount of carbon within the budget allocated to each team….simple right? Well that is what we set out to do as team Zero Emissions, this was a fun-filled educational day as part of Open Streets introducing the first A to B challenge – This challenge is to promote alternative modes of transport and lowering our Carbon Footprint thereby not only getting more active but also saving the planet in the process. Personal cars emit over half the globe’s transport emissions. Moving to alternative modes is essential. We were required to use 4 different modes of transport and complete mini challenges along the way. 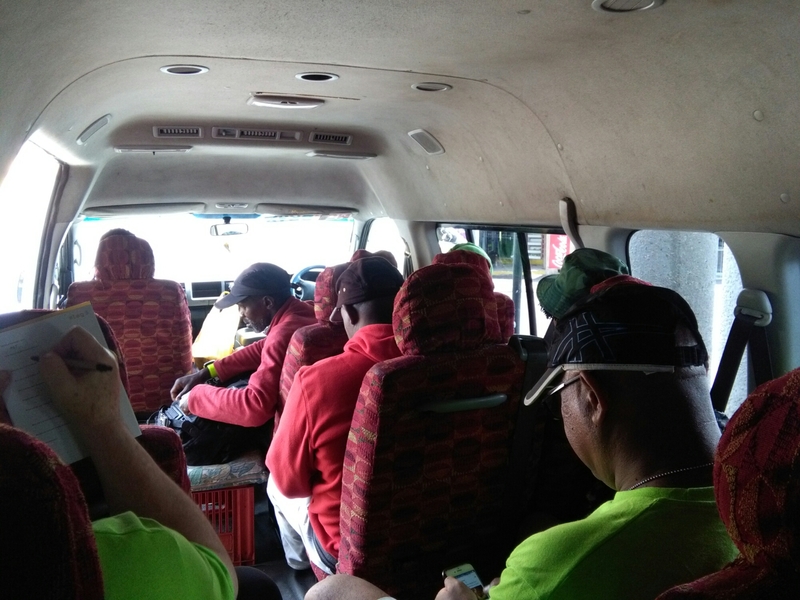 The challenges included interviewing members of the public, getting their views on the different modes of transport used in their daily commute. Many challenges and issues came up and people were all willing to participate – I think if more engagement like these are introduced we’ll be able to build a more efficient city. Renewable energy is a cost-efficient way to provide energy and employment opportunities. 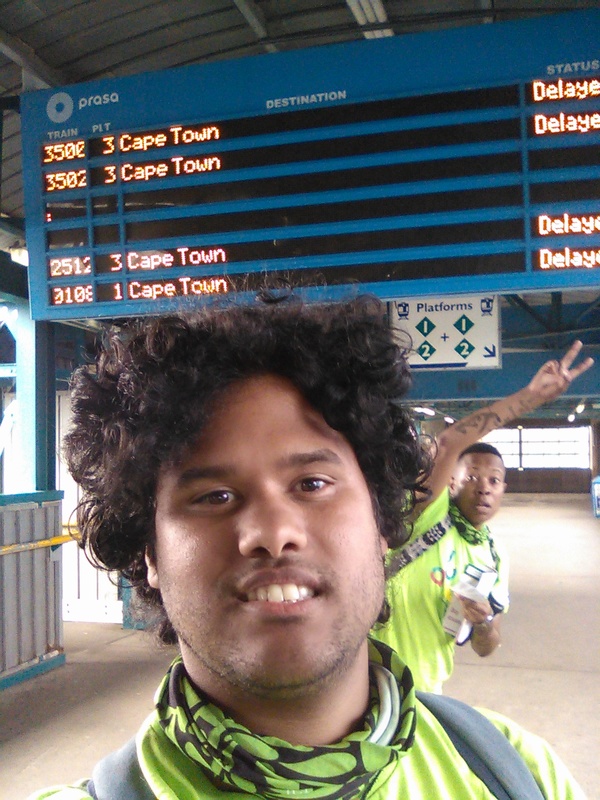 …and it was my first time travelling in a Taxi from Mowbray taxi-rank to Langa. It is vital for cities to improve public transport to encourage increased use. 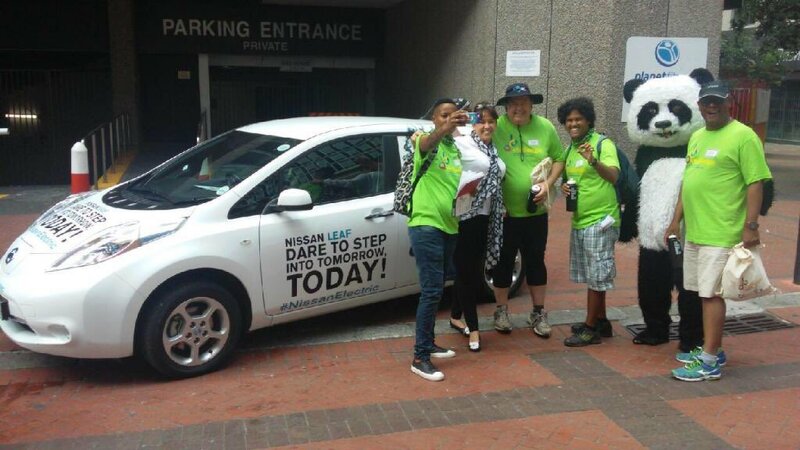 I am thankful for being part of this challenge, I got to meet amazing people plus I can say that I was in team with the Minister of Transport in a race about well…..Transport. Mr Donald Grant is a real inspiration for taking part and engaging with the public….even though our team never won we had fun. 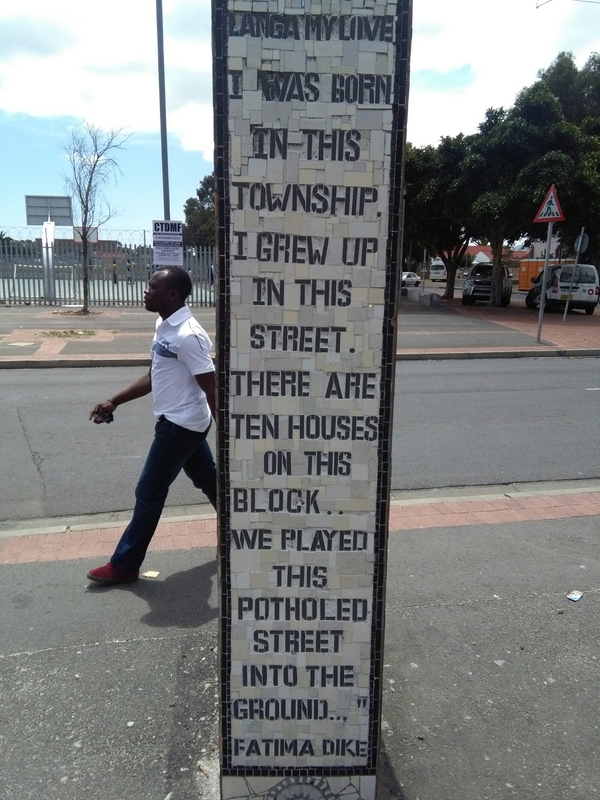 Thank you to all involved in starting the conversation and hopefully it will grow into something really big…..follow @OpenStreetsCapeTown and @WWFSouthAfrica on twitter for more information. This entry was posted in Uncategorized on October 30, 2016 by shaunjengel. 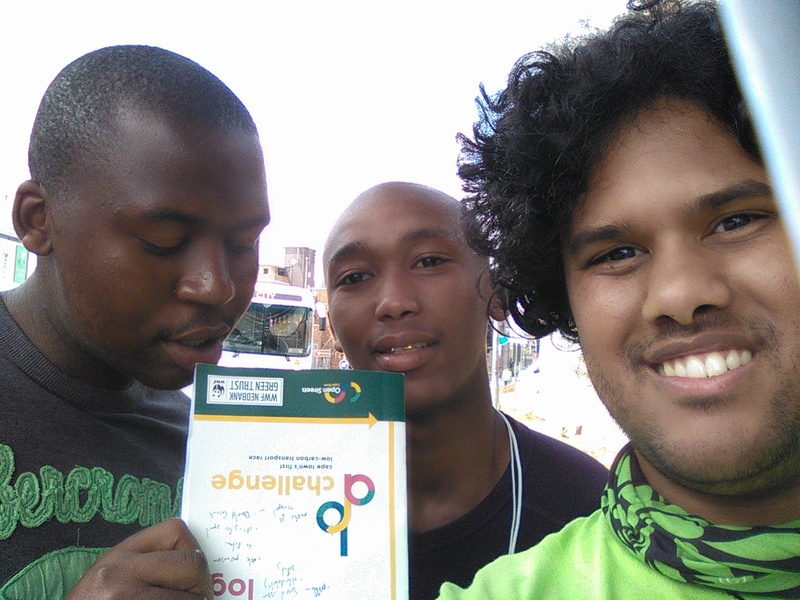 It is written in the Streets and I totally agree, I have been to most of the Open Streets events from Bree Street, Mitchell’s Plain, Belville and today they were back in Langa taking over the streets making it a fun-filled family day out promoting the use of alternative transport as well as interaction between people from all walks of life. 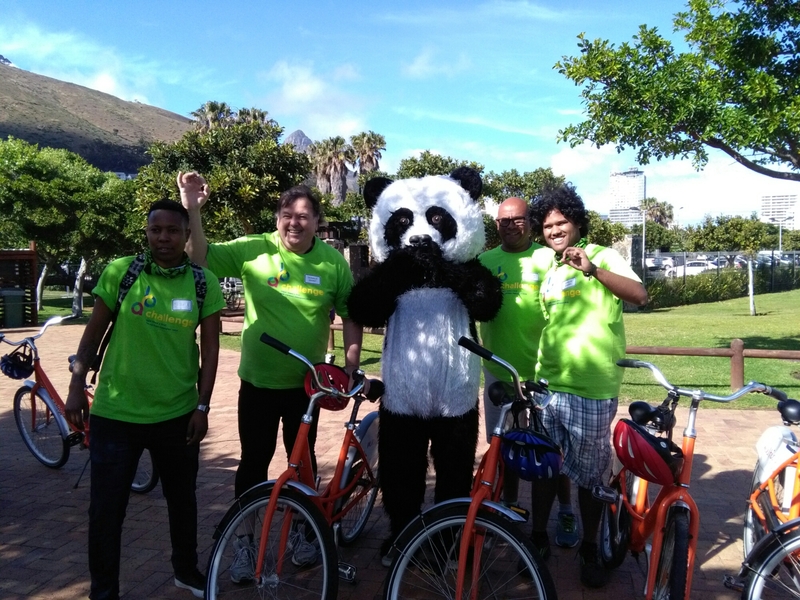 Chi Chi the Panda was a real hit amongst the kids – high fives and hugs. 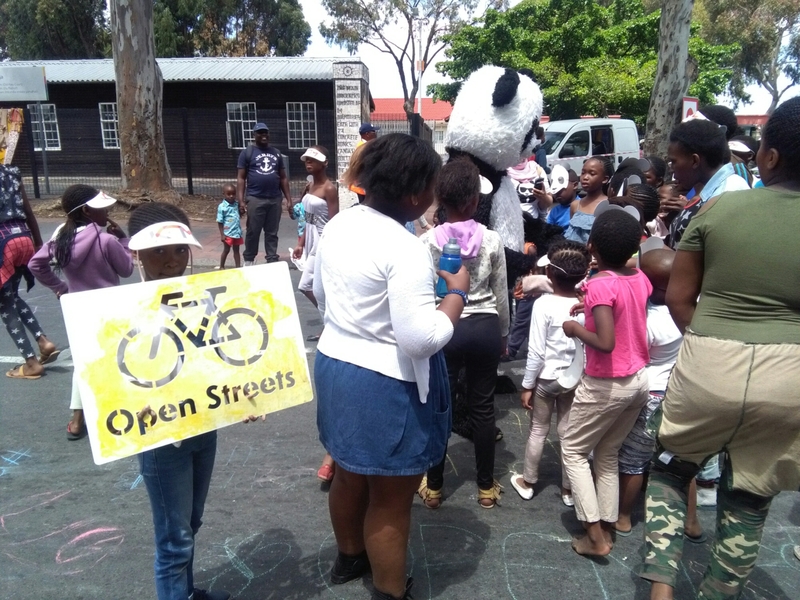 Each time I visit an Open Street event I am overwhelmed at the welcoming atmosphere that is given off by the local residents and the smiles and happiness surrounding the Streets…this just highlights the Open Streets manifest perfectly. After today she not only believes she can fly….she knows she can fly and reach new heights. 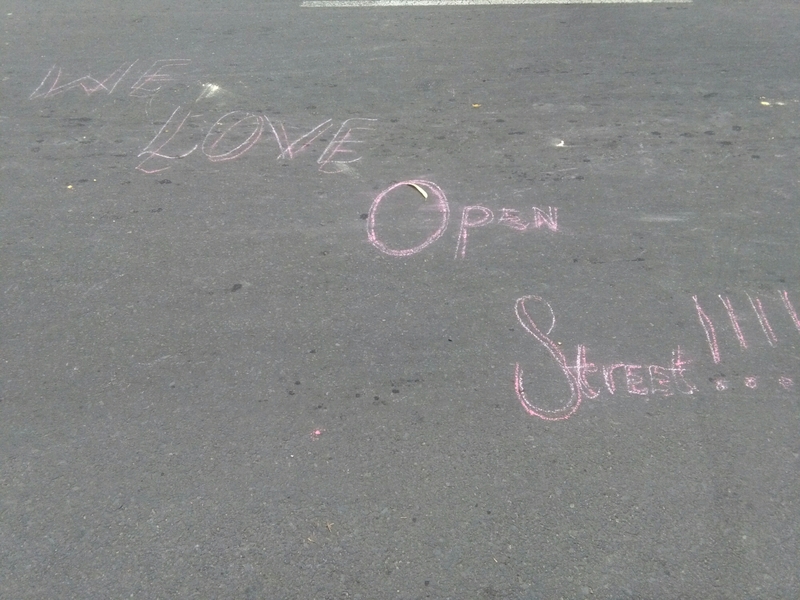 Follow Open Streets on social media because there are future events planned, share and engage – Lets all do our part in making our City a place for all to enjoy. Colour in the Sun is a premier colour festival promoting unity and equality whilst being entertained by top local DJs. This festival derives from an ancient Hindu festival celebrating springtime, love and, of course, colours! It has recently spread from its origins in India and Nepal to parts of Europe as a non-religious day to reflect equality and togetherness. Against a festive backdrop of song and dance participants play, chase and colour each other with bright, dry powders. All colours consist of corn starch and an aromatic substance. The colourants differentiate per colour. Aromatic substances: Lavender, Lavender oil, thee plant, sage, dill, 2-undecanone, chamomile, rosemary, rosemary oil, acetic acid. The colours are: Red, Green, Pink, Orange, Blue, Yellow. 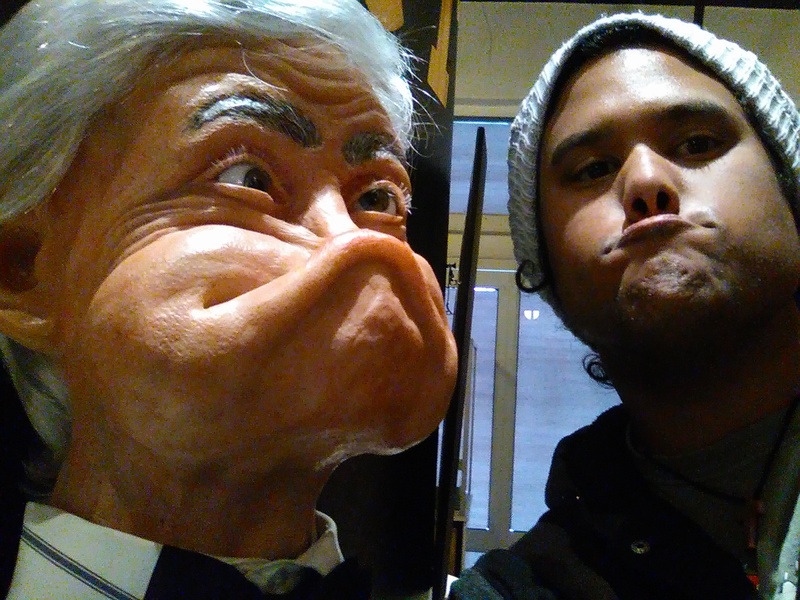 Cmon baby lets go party ahhh ahhh ahh yeah, we’ll be chasing COLOURS in the Sun ooh yeah OOOH YEAH. This entry was posted in Uncategorized on October 14, 2016 by shaunjengel. 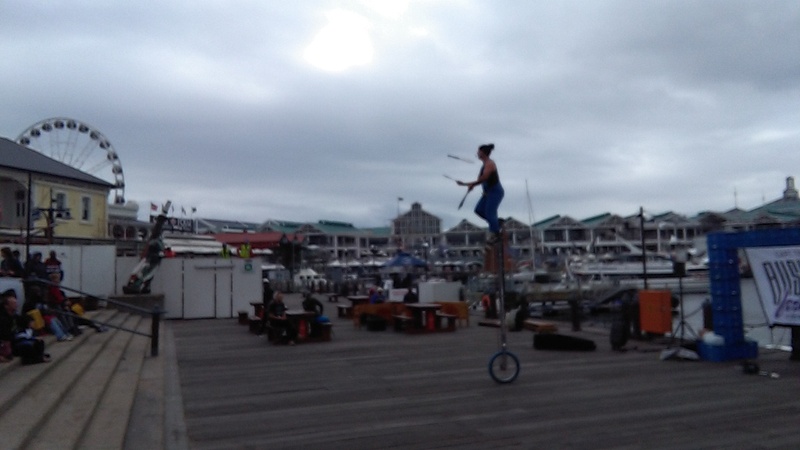 Street performance or busking is the act of performing in public places for gratuities. In many countries the rewards are generally in the form of money but other gratuities such as food, drink or gifts may be given. Street performance is practiced all over the world by men, women and children and dates back to antiquity. 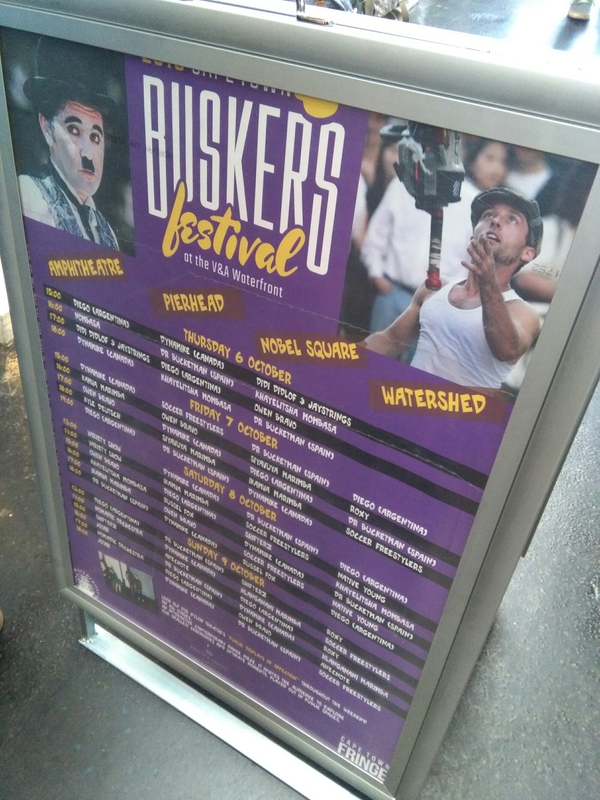 People engaging in this practice are called street performers or buskers .Performances are anything that people find entertaining . Performers may do acrobatics , animal tricks , balloon twisting, caricatures , clowning, comedy, contortions, escapology , dance, singing, fire skills, flea circus, fortune-telling, juggling, magic , mime , living statue, musical performance, puppeteering , snake charming , storytelling or reciting poetry or prose , street art such as sketching and painting, street theatre, sword swallowing , and ventriloquism. 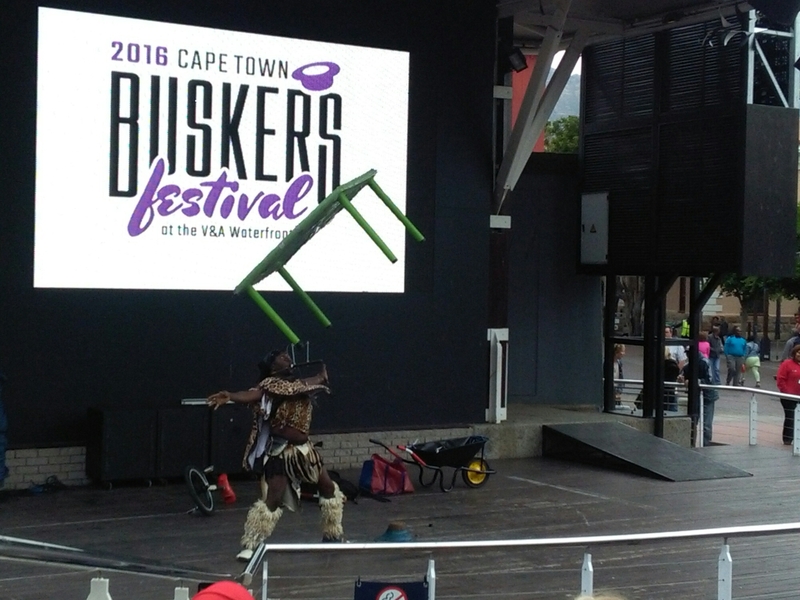 Last week we enjoyed 3 days of entertainment by some of Cape Town’s well known street performers and some International Acts too, this was part of the Cape Town Fringe Festival giving buskers the opportunity to showcase their talents at The first International Buskers festival. I saw a guy juggle children….uh I mean a chainsaw, yip a real working chainsaw how insane is that….with a name like DynaMike I guess anything is possible. 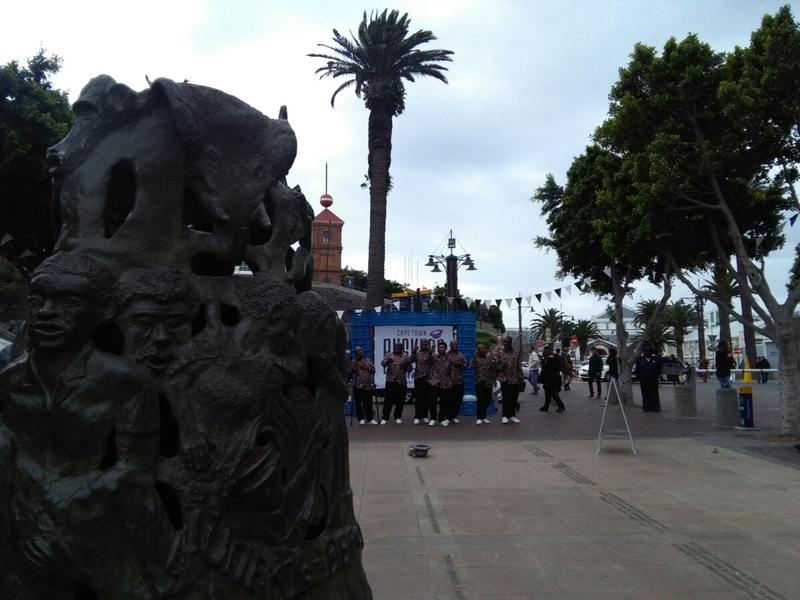 The festival really gave us the best of what Cape Town and The World has to offer, I hope this becomes an annual event and that people will tip generously…to see acts like these you’ll probably have to pay over R100 and we got it for free. 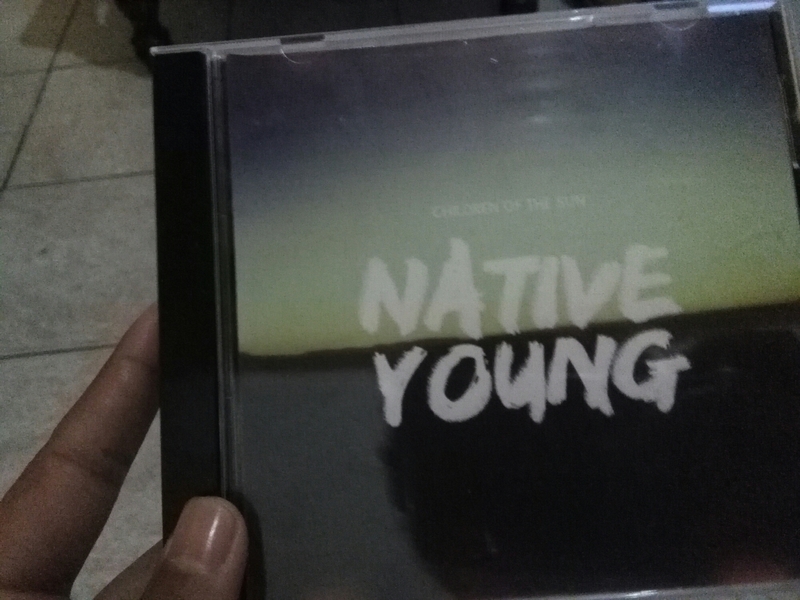 Not only were these performers amazing but they are also inspirational..if you believe in your dreams no matter how big or small, take every opportunity that comes your way, put yourself out there…busk if you must one day SOON someone will buy your CD..
Because we are, we are Children of the Sun. This entry was posted in Uncategorized on October 13, 2016 by shaunjengel. The Color Run is back, Cape Town! 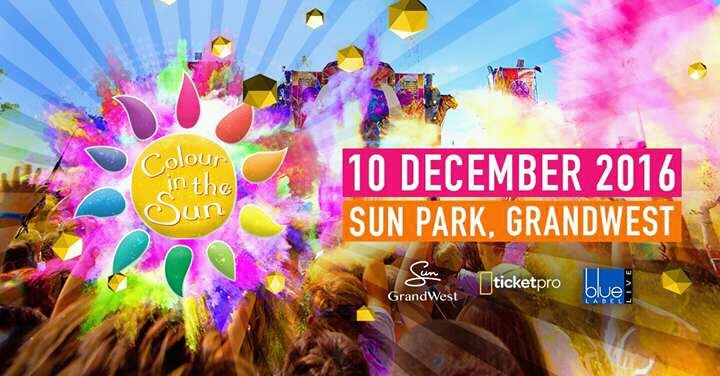 The Happiest 5K on the Planet is back to paint The Mother City with the 2016 Rainbow Tour. The Color Run™, happening at the Green Point Track on 12 November 2016, is one of the highlights on The Color Run South Africa’s calendar. With tickets already almost sold out, the 2016 event looks set to be one of the biggest, brightest, and happiest in Cape Town for the year. The Color Run is a five kilometre un-timed race in which thousands of participants, or “Color Runners”, are doused from head to toe in different colours at each kilometre. Founded in 2011 in the USA, The Color Run has grown to become the single largest event series in the world, touching over 200 cities around the globe and millions of Color Runners with joy and rainbows. The Color Run is built on four principles: be happy, be healthy, be you, and give back to the community. 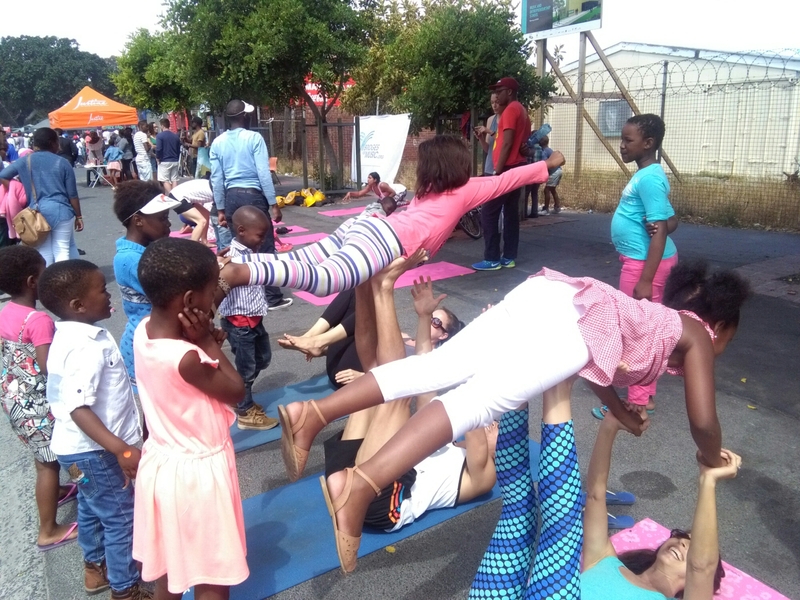 This year, with the generous help of headline sponsor Capitec Bank, Parkview Primary School will be the recipient of money raised at the event. For every ticket sold, R10.00 will be donated to the school to help with the purchasing of much needed equipment. 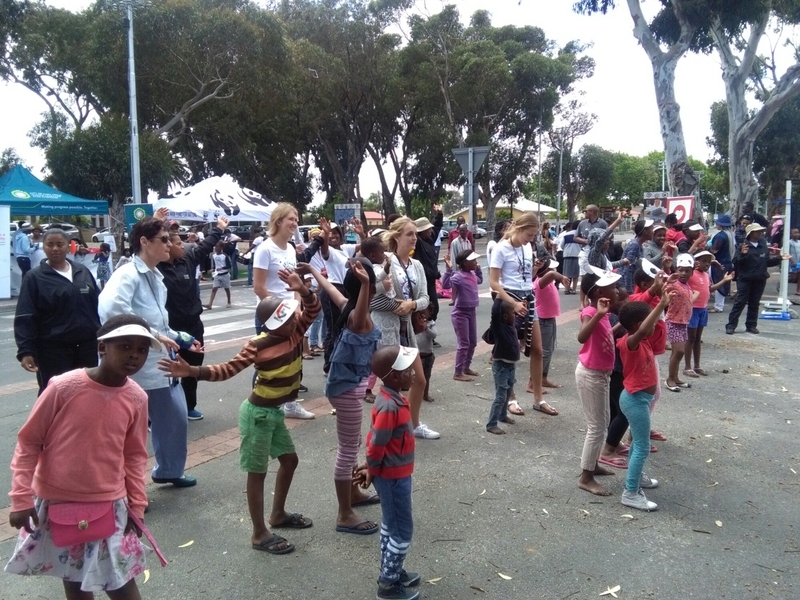 “We have partnered with Adopt-A-School Foundation, which identifies, on our behalf, schools in need of assistance in each area where The Color Run holds an event,” says Capitec Bank’s head of communications, Charl Nel. Heart FM, the city’s biggest radio station, is the official radio partner to The Color Run in Cape Town for the fourth consecutive year. Heart FM DJs will be on the decks to welcome Color Runners with awesome beats as the run gets under way. Charity and school fundraising is a big part of The Color Run. Register your own school or charity on the Fun Raiser programme and raise money for every ticket sold under your unique Fun Raiser code. To give back, contact The Color Run on hello@thecolorrun.co.za. Tickets are available online from The Color Run website(http://thecolorrun.co.za) and Facebook (www.facebook.com/TheColorRunSouthAfrica). Individual ticket prices are R250 and R225 for groups of 4 or more. Manual entry points are listed on our website. Late entries, or tickets bought on the day are R300. Don’t forget, kids under the age of 10 run free. Stay tuned to Heart FM updates on The Color Run. Color Runners will each receive a race pack with includes a Rainbow Tour edition race T-Shirt, headband, bag of colour powder, temporary tattoos, and a race number. Additionally, every Color Runner will receive a R200 coupon for use on the Superbalist.com app. Ts&Cs apply. Closing date for competition is Wednesday, 26 October 2016, the winners will be contacted via email or telephone and will each run away with 2 tickets to the 2016 Rainbow Tour. The Color Run is a feel-good, happy, colourful event. “Color Runners” of all shapes and sizes happily go from wearing pristine white clothing, to being covered in prismatic colour. At each kilometre mark, a different colour of powder fills the air and covers the participants, creating an ever-increasing spectrum of colour and beauty. At the finish line, the colour festival kicks off and the air is filled with millions of vivid colour combinations as participants get in on the colour throwing fun as well. For more information, go to www.thecolorrun.co.za or follow us on Facebook. 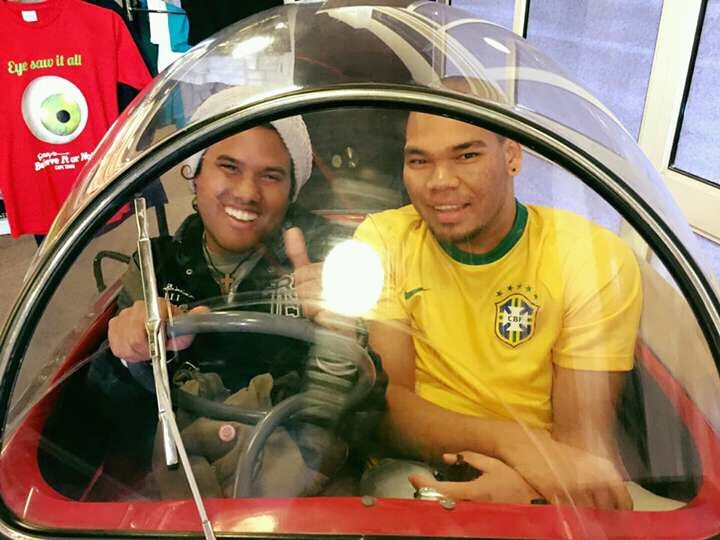 Capitec Bank (JSE: CPI) is South Africa’s fastest growing full service retail bank. With 6.2 million active clients, R11.6 billion in equity and R53.9 billion in assets as of February 2015, Capitec Bank offers affordable, simplified and transparent banking with personalised service. Using innovative technology to drive down costs, increased accessibility and simplified, transparent client interactions, Capitec Bank’s Global One facility offers a range of transacting, saving and credit options accessed in real-time using paperless processes and the country’s first in-branch biometric client identification system. Capitec Bank was recently named South Africa’s best service and *best value bank in the South African Consumer Satisfaction Index (SAcsi), South Africa’s best priced bank in the Solidarity Report and the best customer service bank in the Ask Afrika Orange Index awards. 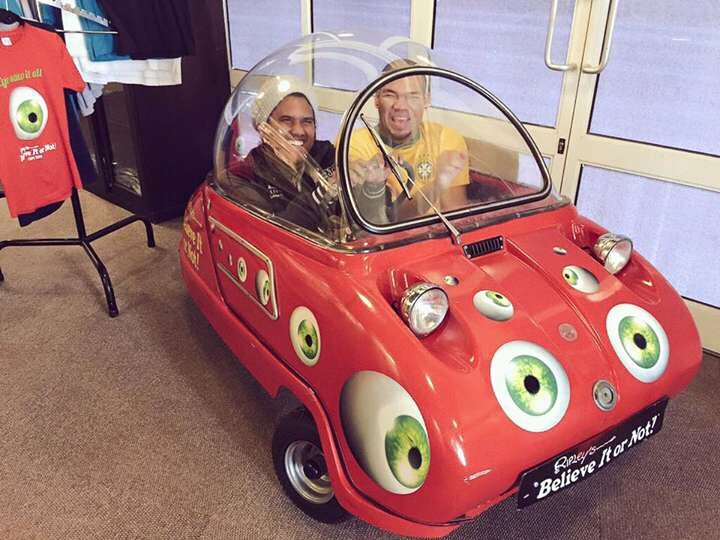 Heart FM is Cape Town’s Beat! The station broadcasts in the greater Western Cape region including Cape Town and surrounding areas the Drakenstein, West Coast, Swartland, Overberg and Overstrand. Heart FM listeners have strong family ties, are socially aware and committed to enjoying life to the full. Listeners are very brand conscious and are fiercely loyal to the Heart FM brand. The station attracts more than 586 000 listeners weekly (RAMS 2015/2) with its mix of jazz, soul, pop, old school, house and disco – a perfect mix of old and new. Listeners are also spoilt for choice with intelligent talk and entertainment spanning across shows. 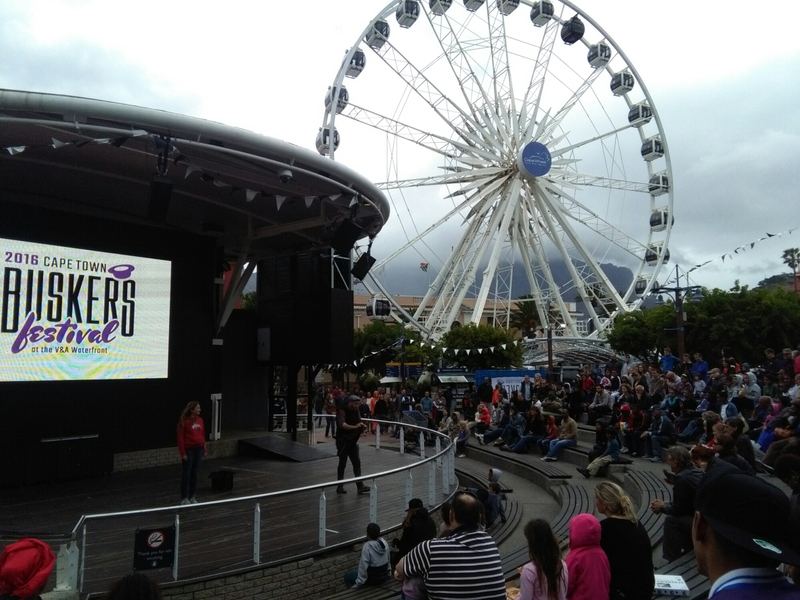 Heart FM broadcasts in English and Afrikaans. This entry was posted in Uncategorized on October 12, 2016 by shaunjengel. What does it take to make two grown men become two grinning boys again???? 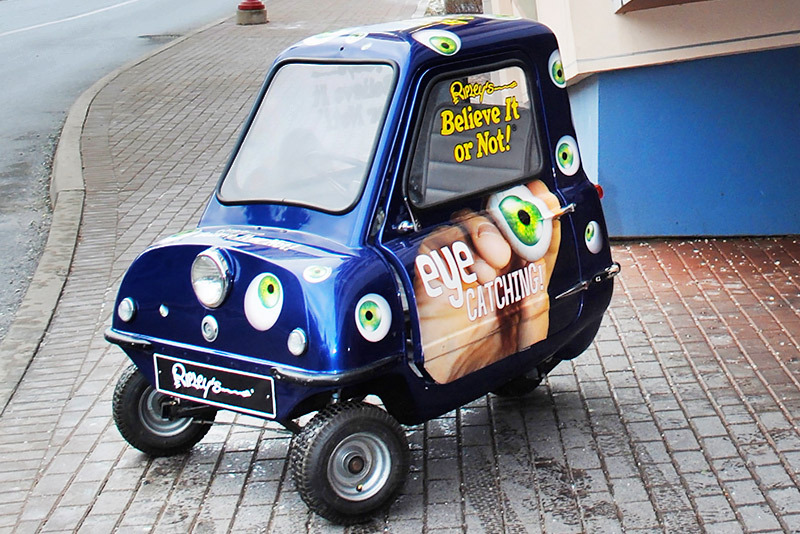 if this car had an engine we’d probably have driven it out of there…BELIEVE IT OR NOT!! 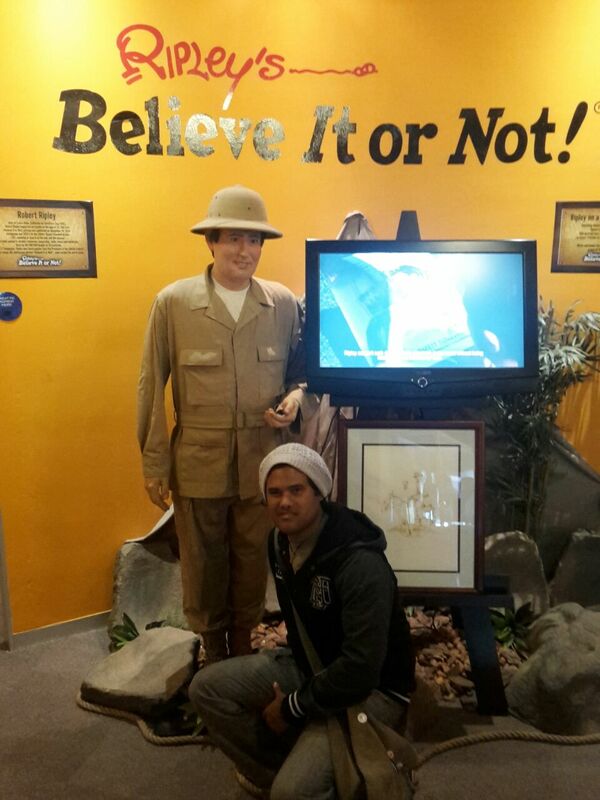 At the Ripley’s Believe it Or Not exhibition currently on show at The V&A Waterfront you’ll step into a world of wierd, wacky, insane and wonderful artifacts collected by Mr Robert Ripley himself. 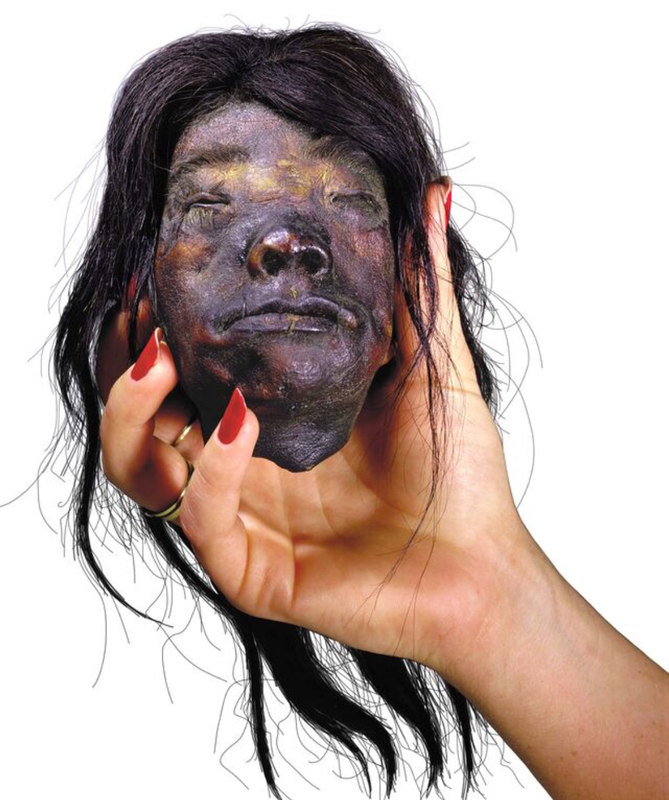 Mr Ripley travelled the world to more than 200 countries collecting artifacts and stories to be shared with the us….now you have the opportunity to see more than 170 of these artifacts. 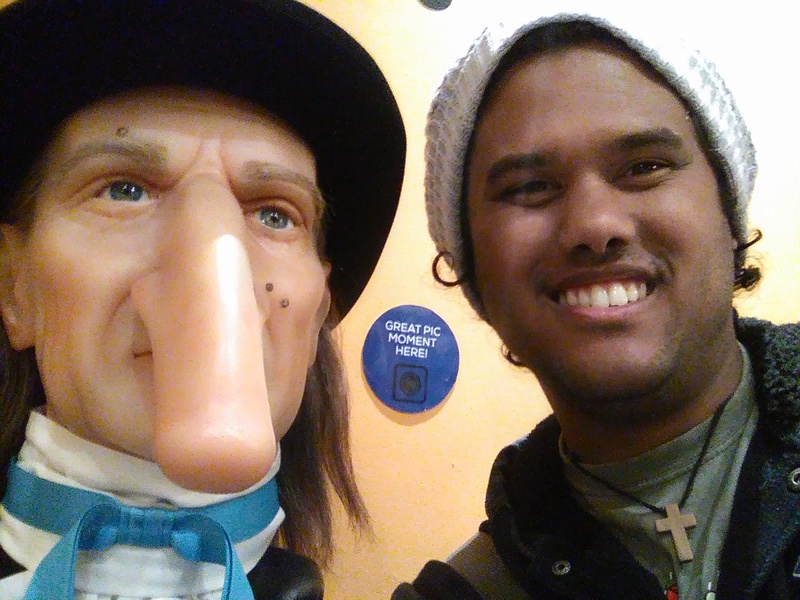 ..somwhat strange but definitely wonderful. 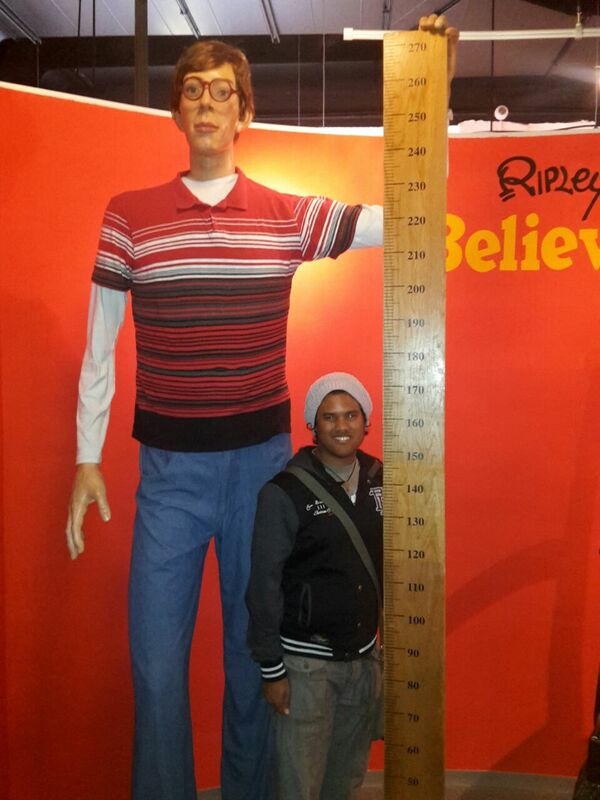 Come and enjoy Cape Town’s hottest summer attraction see how you measure next to the tallest man that ever lived..
You know what they say about tall men, they have big…. 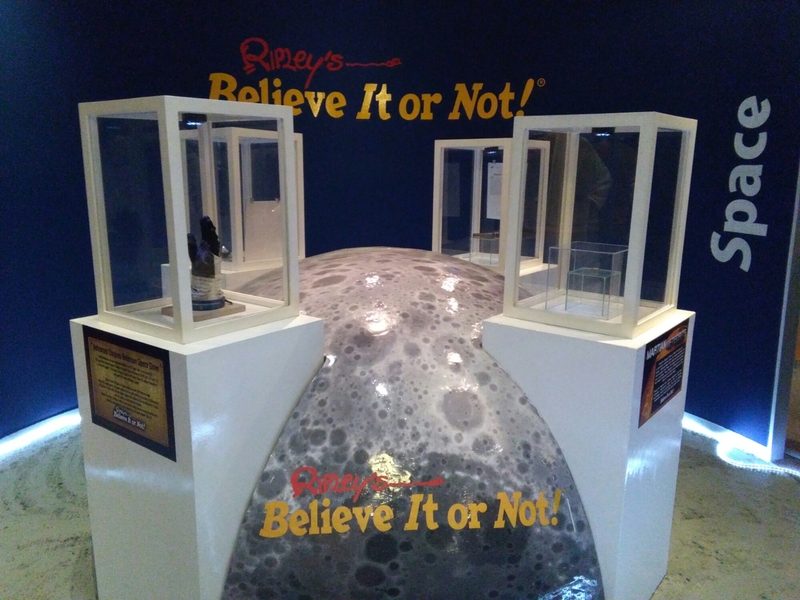 You really need to take your time walking through the exhibition as there is a lot to see and the helpful staff are on hand to dish out extra information about the oddities you might encounter, you might even meet one of your heroes.. Thank you Mr Ripley and the staff for having us experience this amazing exhibtion, definitely something not to be missed. This entry was posted in Uncategorized on October 9, 2016 by shaunjengel. 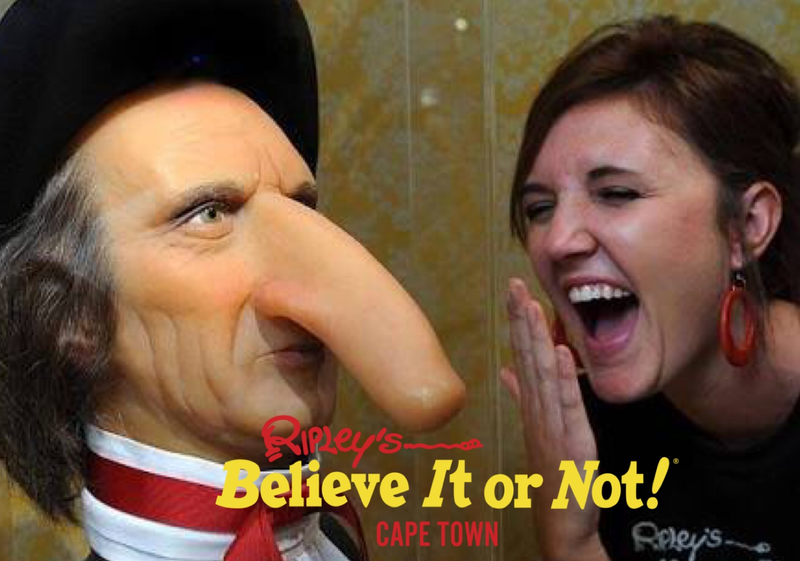 The Ripley’s Believe It Or Not!’s Summer Attraction is the hottest ticket in Cape Town this season and opens to the public on 1 October 2016 at the V&A Waterfront. 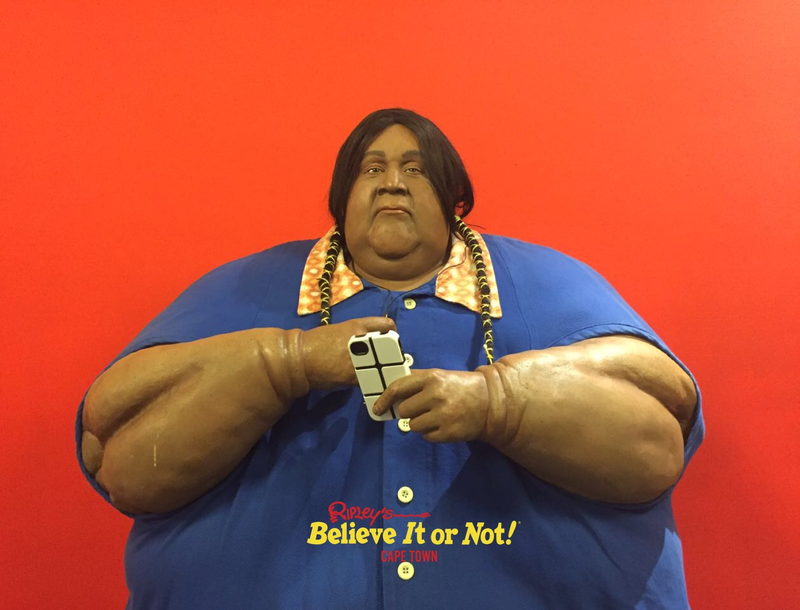 Collected by Mr Robert Ripley himself and, in more recent years, by the team of Ripley Entertainment Inc in the US, this unbelievable collection of objet d’art and exhibits is a must-see attraction. 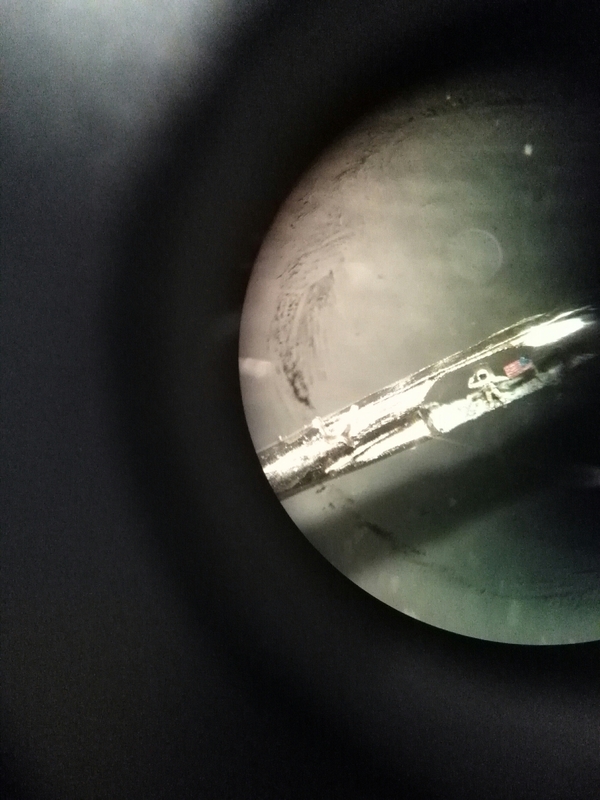 Come and see how you measure next to the tallest man that ever lived, study shrunken heads, skulls and rare animal skeletons, be amazed by a nest of real dinosaur eggs and look at art so small, you’ll need a microscope to see anything! 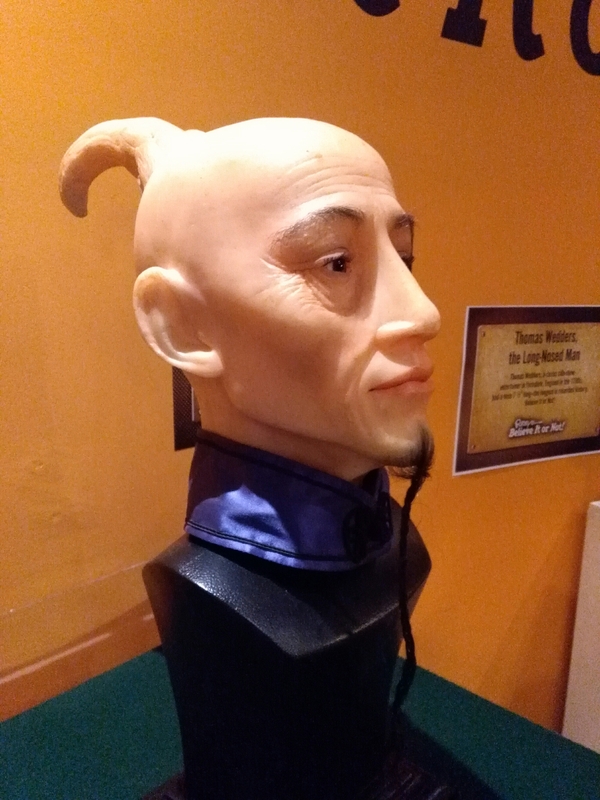 The displays are highly educational covering themes including space, the ocean, human oddities, giants and little people, sport, Asia, Africa vampires, vampires and lizards – somewhat strange but definitely wonderful! 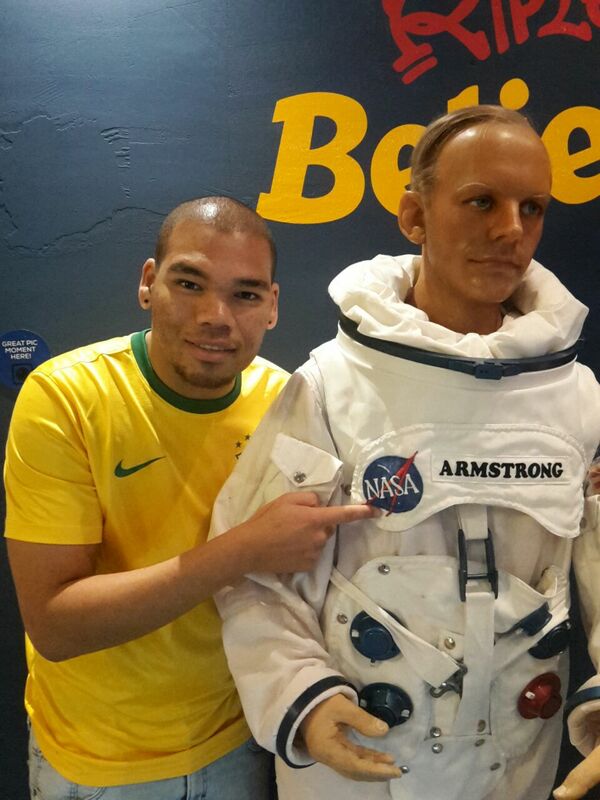 On this amazing journey into the unbelievable you will discover more than 170 artifacts and interactive exhibits, offering you many wonderful photo opportunities. 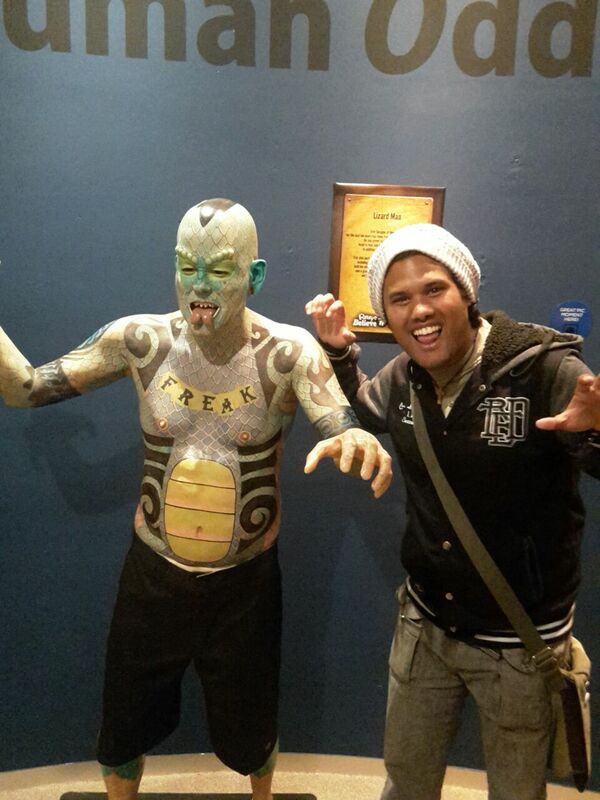 The Ripley’s attraction at the Clock Tower, V&A Waterfront is an ideal day or evening out for the entire family. Don’t miss the shop at the end of the experience where you will find many irresistible gifts and souvenirs to take home. This entry was posted in Uncategorized on October 2, 2016 by shaunjengel.